School holidays are around the corner, and we will celebrate it with dessert for the little ones! To redeem, simply your table book online and use the promo code “School Holidays” on the booking comments field. 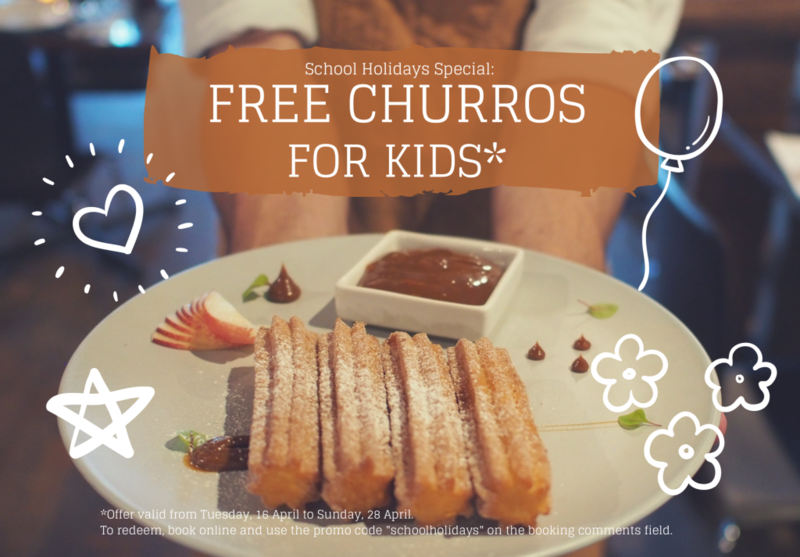 That’s it – enjoy a complimentary serve of churros for the table with kids. Offer valid from Tuesday, 16 April to Sunday, 28 April.